Inspitories is my made up word for inspirational stories on young people I find interesting. They are usually interviews of other entrepreneurs, like myself, whom I have had the pleasure of meeting, stumbled upon online, or dug up that motivate me. Enjoy and get inspired! For most of middle school, I had a best friend. We were almost inseparable. For a while, both teachers and strangers alike thought we were twin brothers. After correcting numerous people countless times, we started claiming to be! 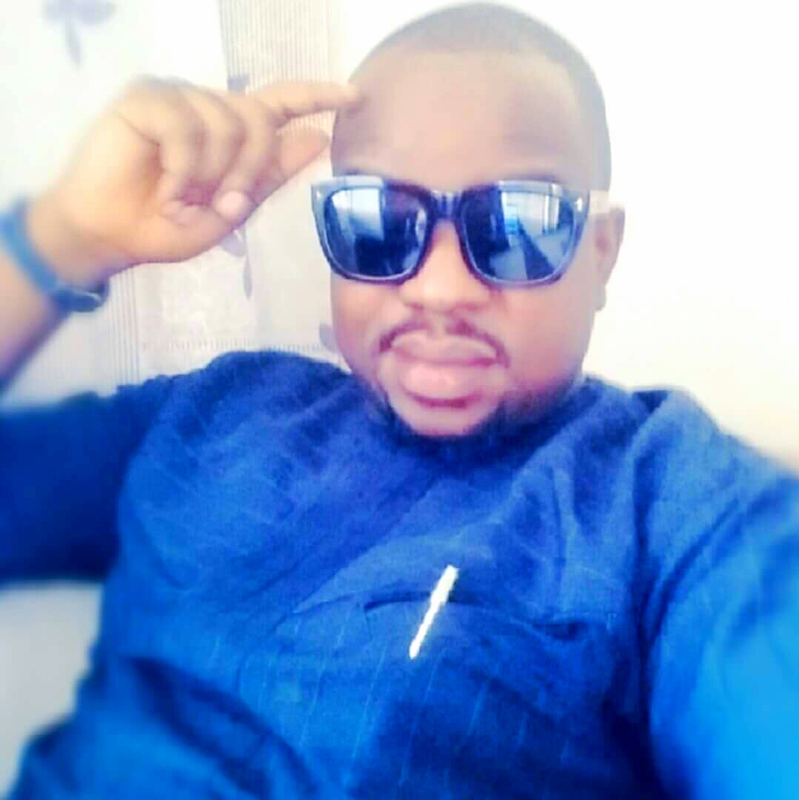 I think that led him to coin Twin Raiders, which became a clique of four friends, with code names: Syber, Vesta, TJ, and Kere – Seyi, Sylvester, Tunji (his late cousin), and Samson respectively. Like most Sylvesters, my nickname evolved into Sly. His, however, stuck all through high school; still is even. Though no longer best friends, we’ve have managed to keep in touch and remain friends for about twenty years now. We, however, still have a few things in common – penchant for watches, one sister, got just our moms now, movies/TV addiction – he’s probably the only person I know who watches more movies and TV shows than I do, and I watch over twenty every week lol; and surprise, surprise, business. Seyi is a master salesman. He could probably sell beef to a cow. He started off selling watches while in college, and this year, I noticed he’d started car sales – he identified a niche (which he shared with me), and now, he’s not just selling them, he can’t hold on to them long enough! I admire his drive and entrepreneurial spirit so much. When I thought of setting up shop in Nigeria, he’s one of the few people I met with to educate me on the terrain. Through his help, I opened up a Konga.com store for Pearl Kreations. No regrets. If like most people, you’re wondering how he’s getting by on watches [and cars] sales, trust me, he does fine! It’s my pleasure to profile the street-smart and tenacious Syber. 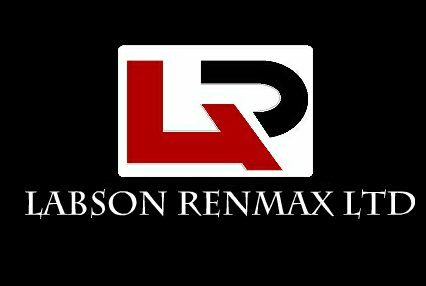 Labson Renmax Company is the parent company of LR Watches and LR Autos, which provide high-end timepieces, and new as well as certified pre-owned automobiles respectively, at affordable rates backed with great after sales service. Small scale in August 2008 selling entry-level wristwatches to university students. My passion, from the onset, to provide products and services with the customers’ satisfaction being key. I met this lady while she was still a student. She struck me as a study-really-hard-and-land-an-amazing-job go-getter, so it was no surprise when I caught up with her in 2011, that she had a really good job, at which she was already doing very well…though a bit of a workaholic (she still is). I had her pinned as a 9 to 5/job security kinda person. I’m not ashamed to say I was wrong. 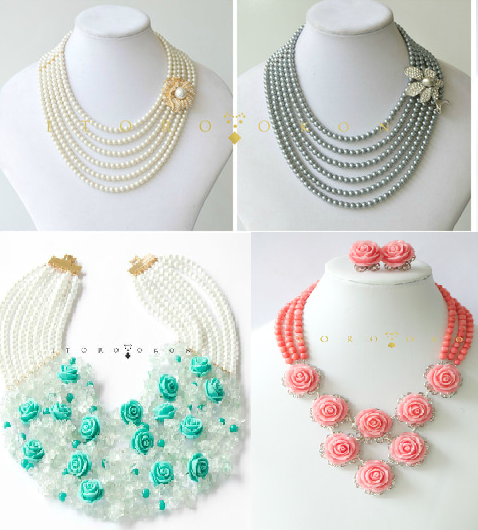 Last year, I stumbled across a page called “Jewelry by Itoro Okon” on Facebook. I thought, “Itoro? No way.” I went through the page, and was stunned by the creativity. I concluded it had to be a coincidence or something, Itoro was living/working in Alberta, not Lagos. Wrong again. May, this year, I attended the wedding of a mutual friend of ours, and there she was, on the bridal train, Itoro Okon, in the flesh. I couldn’t believe it. We met up for ice cream one evening the following month – we happen to live like 10 minutes from each other! Who knew?! Turns out she had always planned to move back to Nigeria. She also told me about her plunge into entrepreneurship, and then we swapped stories on our experiences with the NYSC program, police, and best business practices for Nigerian clients/customers. I’m a man who appreciates beauty and creativity, so I simply had to tell her, what I’m sure she already knows – her designs are beautiful. No, Itoro is good. As soon as I saw her men’s bracelets line, I had to have one. Her creativity and talent are astounding. She still surprises me. She is the real deal, and she’s just so modest; I couldn’t resist tooting her horn. Itoro Okon is an artistically crafted, uniquely designed jewelry line. I create statement pieces to embody style, elegance, and the passion for the art of jewelry making. God, Creativity, Translating creative ideas to reality. Inspitories is my made up word for inspirational stories on young people I find interesting. They are usually interviews of other Entrepreneurs like myself whom I have had the pleasure of meeting, stumbled upon online or dug up that motivate me. Enjoy and get inspired! Once an entrepreneur, always an entrepreneur. I’ve known this young man for over ten years, and he’s always been quite enterprising. 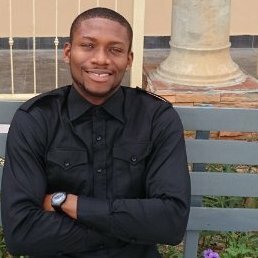 Interestingly, this classmate-turned-close friend has a story quite similar to mine – he’s an FGCL alumnus, ex-medical school student and serial entrepreneur. The only different is he’s just a little bit taller than me lol. On a serious note, he’s quite ambitious, business-minded, intelligent, and constantly improving himself by learning a new skill. He’s quite charismatic and very passionate about health and fitness, and that sparked his newest venture. Entrepreneurship, Social Intelligence & Networking, Nutritional Counselling & Education, Project Management, and Creative Thinking. Diet234.com is a resource for healthy nutrition, information and inspiration – making healthy eating your way of life. We offer nutrition/dietary care services to individuals and corporate bodies, especially the vulnerable groups. In August 2014, and so far, we have had a steadily growing online viewership on our blog and broadcast posts/feeds. We have also had the opportunity of speaking at quite a number of seminars and networking events to educate people on health and nutrition. 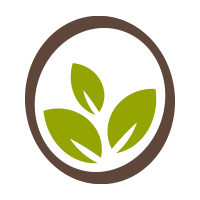 Our clientele for nutrition care plans has been progressive since the launch of this service. God, Family, Creativity and Guts. 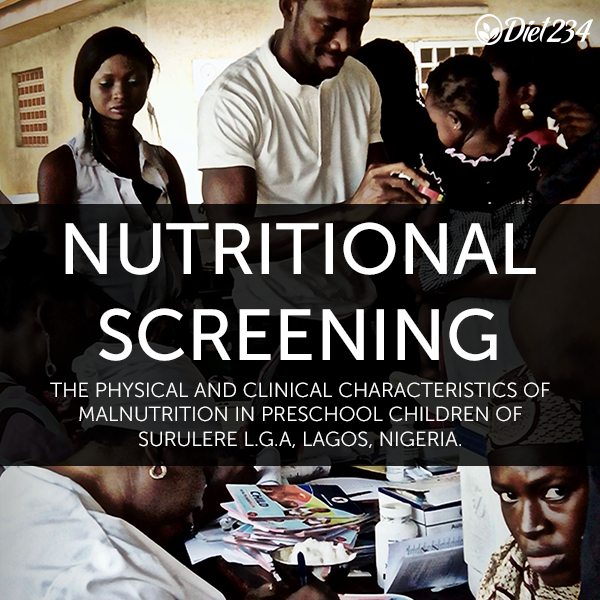 • Nutrition screening & survey of preschool children and administration of Vitamin A supplements in Surulere LGA (Lagos, Nigeria). • Branding Consultant and Business Development Assistant for LagMarket.com (Online grocery store in Lagos, Nigeria). • Nutrition Expert and Healthcare Consultant for Vikram Hospital Bangalore, India (Medical partners to Kanu Heart Foundation and OJB Foundation). • Social Media consultant for the Nigerian author of International repute – Ifeoma Theodore Jnr., author of “Trapped In Oblivion” and “My Daughters and I”. A few years ago, a young man approached me. He had an exciting business idea. The way he talked about it, I got excited too lol. I liked the idea, but I loved it more because of the passion. Not to mention, he reminded me a little about myself in 2008 – young, Nigerian, McMaster student with exciting business prospects. I signed up with his venture for his first week and offered some feedback. I couldn’t continue because I cooked my own meals and supported another home-cooked meals venture, 1108. That didn’t stop him from reminding to sign up again and again every chance he got lol. You’ve got to love the enthusiasm. I’m very impressed the venture is still forging ahead and evolving, while being profitable too! I’m a fast learner. I also have unwavering focus on validated learning (learning on the job). The24SevenClub is a subscription-based African meal delivery service. 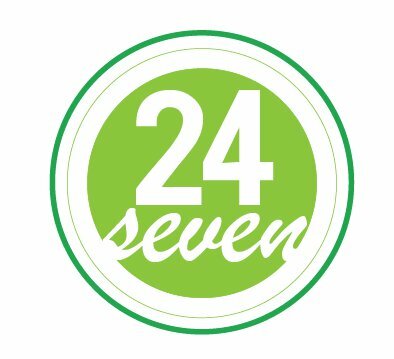 The objective at The24SevenClub is to foster happiness through culture; as a result, we aim at building and growing a united community through the shared experience of our services. This shared experience is accomplished by providing members with a convenient outlet for delicious meals. The24SevenClub was launched October 2011. It started in Hamilton, Ontario, and this is still the only location we service currently. We hope to open up in multiple locations in the nearest future. Entrepreneurship and creativity. I have witnessed and been a part of several ventures that have grown and transformed from simple ideas into things that are way bigger than was imagined. The process of creation continuously drives me. 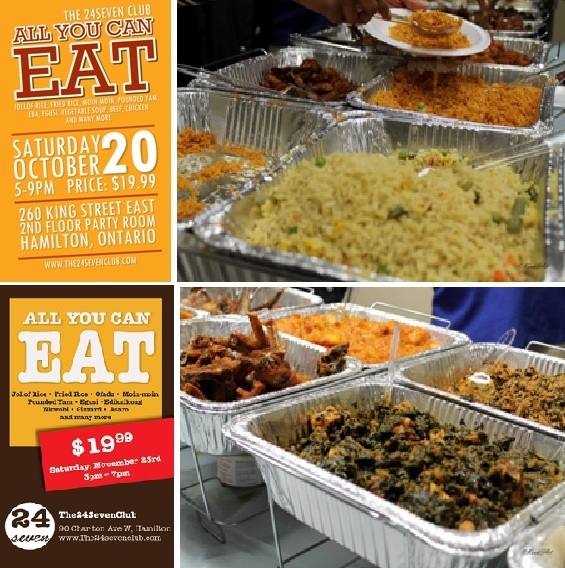 • McMaster University & University Of Toronto Mississauga African Associations’ Buffet. • Provided services to Candor Foods Ltd.
• Gidilounge group was an active sponsor during the infancy of the business. As an entrepreneur, sometimes you might have to try a couple different things until you find what works. Successful entrepreneurs and business people never give up. Perseverance is key. One person that knows this all too well is a certain young lady I’ve known for close to six years. She started a nails service business called Nail Tha Occasion, worked at it, but eventually closed it. About a year later, she started a freshly cooked meals delivery service called 1108 Catering, I believe. It was a success and I was a patron lol. I’m not quite sure if it has been re-branded or on hold for now, but mid last year, she shared her plans with me to launch an accessories line. She showed me some of her creations and they were pretty good. They are even better now. It may seem like she bounces around, but I believe she has found her niche. 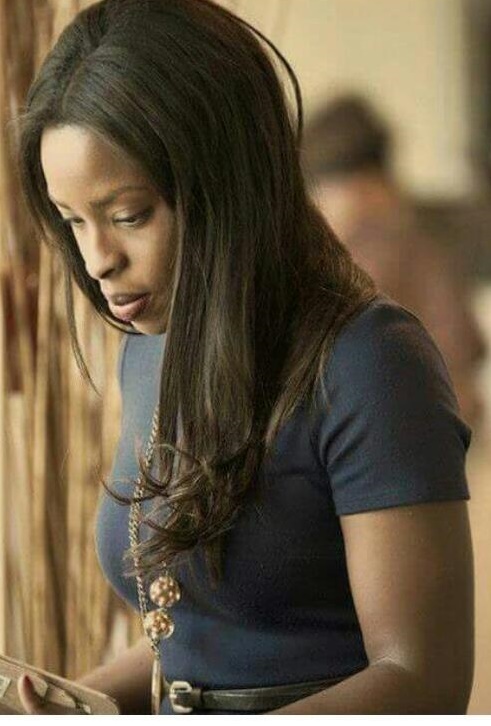 She works extremely hard at it and invests in quality materials; without a doubt, Todun Designs is here to stay. Todun Designs deals primarily with afrocentric-based accessory designs inspired by African fabrics and the unique, rich African culture. As a self-taught designer, all Todun Designs products are handmade from carefully selected materials from a convenient home workshop. Over the next few years, Todun designs aspires to establish itself all over the world as a brand familiar to both individuals interested in that personal touch as well as those looking to create an identity on a large scale. My love for creativity. The ability to imagine concepts and see them transformed to tangible products. • The Fashion Show of Africa Unveiled. • The Fashion Show of Afrobeat IX. • For more past works, please view the website. I think we exude passion when we’re doing things we absolutely love. After CollegeTix was launched late September last year, I started to talk to everyone and anyone who cared to listen about it. One of such people who cared to listen was Hannah B. A couple of days later Hannah pings me and tells me a friend of hers was looking for an avenue to sell tickets online for her fashion show; she thought of me and referred her to me. I added her friend, we discussed and a couple of hours later The Andrea Iyamah Fashion Show & Cocktail Party was live on CollegeTix. The power of networking lol. I was out of town at the time, but by chance, we met in the flesh a few weeks later. I first knew of Andrea Iyamah after I stumbled across her brand new site and read her brief bio. I also watched this video that showed her at work, and I have to say Dumebi is possibly one of the most creative people I have ever met. She is very talented. You can just tell from the detail in her sketches that she has an eye for detail, meticulous and passionate about what she does. I attended the fashion show and I think her work is absolutely brilliant. I keep tabs on her new creations now lol. I’m not a fashion fanatic, not even close, but I don’t even need to be one to be convinced and positive that if she continues undeterred, she’s on her way to becoming a force to be reckoned with in the fashion industry. Andrea Iyamah is a custom couture clothing and apparel line which creatively exhibits African/Nigerian culture and embraces royalty through its range of simple to elaborate designs. My passion to exhibit my creativity in the best way possible. • Andrea Iyamah Fashion Show. • The Loud On Sound (LOS) Fashion Show. • Afrik Couleur Fashion Show. There are few people who know just exactly what they want to do for the rest of their lives once they discover it. The charismatic and ever cheerful Mr. Tubi is one of such people. 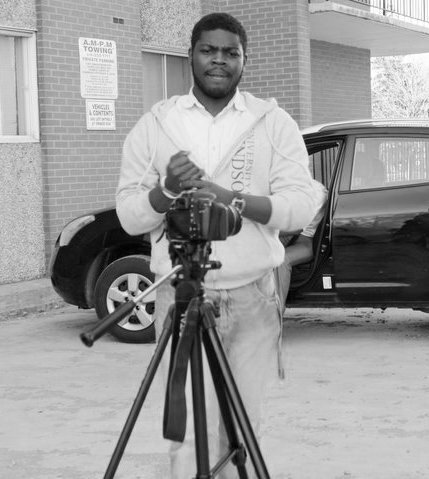 Barely a year after boldly venturing into film editing and production, he has made a name for himself in his community and is slowly building Tubi Films into a brand. For one, I have my video-editing skills. I also love to play the piano and I do so for my church. I don’t think this is a skill or talent, but I also love electronics; although I honestly hate reading manuals and I do get round fine without them too! I guess those all the skills I have lol. Tubi Films (TF) is a privately-owned film production company based in Windsor, Ontario which offers expert filming and video editing services. In September 2010, although the idea to start came that summer. I initially realized I had the flair through the help of a young lady named Mariam. She had a fundraising program which I helped edit and finish. I also helped put the videos she shot with her ipod together. She was impressed with the work I did and suggested I take video editing a bit more seriously, and thus, Tubi Films was born. Perfection. I always want my next shot, video coverage or cut I show the world to be better than the last. That’s what drives me. • My short films and clips are available for viewing on my youtube channel. They will soon be available on the website as well, which is coming soon. • We also recently introduced personalized covers for both on the case covers and disks for our DVD products.